New York, May 18, 2018 — MicroMax announced today that it will exhibit new models of its rugged computer systems at Eurosatory 2018 Defense & Security International Exhibition, June 11th to 15th in Paris, France. MicroMax’s newest systems extend their M-Max platforms line. MicroMax will demonstrate new extremely rugged systems, especially designed to house PC/104 boards to build high performance systems using passive cooling. One emerging star is MicroMax’s Quad Core rugged industrial computer with data acquisition features, the M-Max 771 PR7. Based on the VITA 75 standard, it has been certified to comply with MIL-STD-810G and airborne MIL-STD-704F. The system is also designed to meet MIL-STD-461F. Providing shock protection up to 40g and vibration protection up to 2.5g, the M-Max 771 PR7 is IP66 rated and can operate under extreme temperatures from −40 to +70 °C, dust and humidity. 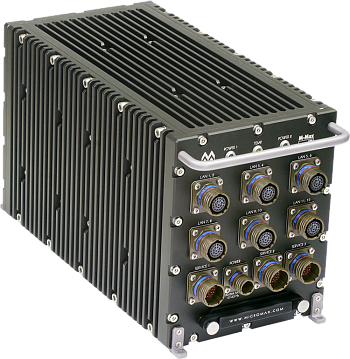 Another featured system is the M-Max 400 TBT — An ATR type rugged computer system for mission-critical applications incorporating three high performance i7 CPUs, an embedded 16-port switch and a removable SSD into one highly rugged sealed enclosure. 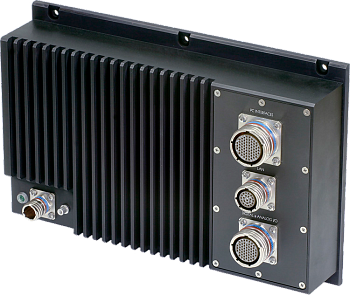 Also on hand is the M-Max 640 LP/MMS, a small size, low weight and ultra low power consumption ARM based rugged industrial computer offering operation at a minute 4 watts. Designed for reliable operation in harsh environments, it utilizes MicroMax’s patented technology for passive cooling. Developers will appreciate the MM-PSF100I — an isolated 100 W 28 V DC power supply for avionics and other onboard applications with high requirements for EMC. 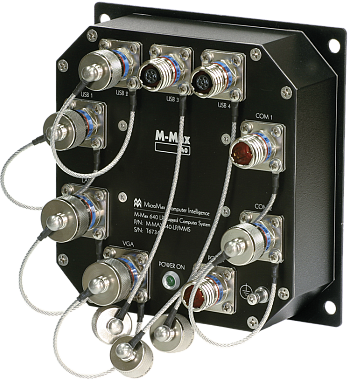 The MIL-STD-704F & MIL-STD-461F compliant power supply with our MM-BCA19K0 expansion carrier meets DO-160 requirements (50ms). If you plan on attending Eurosatory, please stop by and see the newest products in the M-Max arsenal of rugged high performance systems. We are located in the USA Security and Defense Pavilion, Booth C687. Admission is by invitation only. You are able to register online by using the code YEINV18.